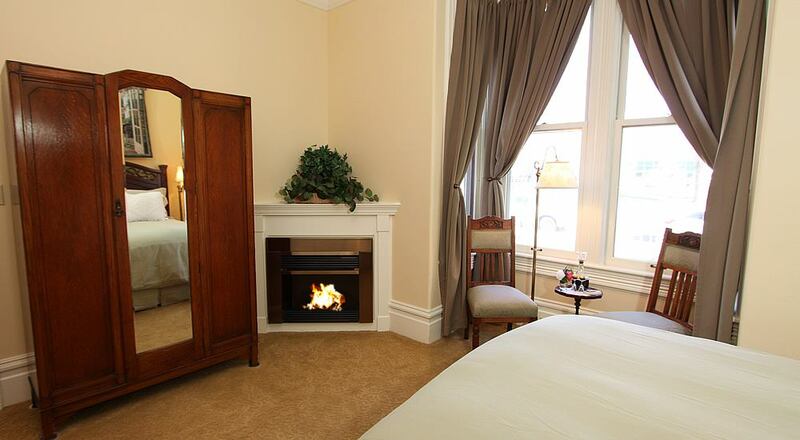 The essence of Napa Valley in Historic Downtown Napa. 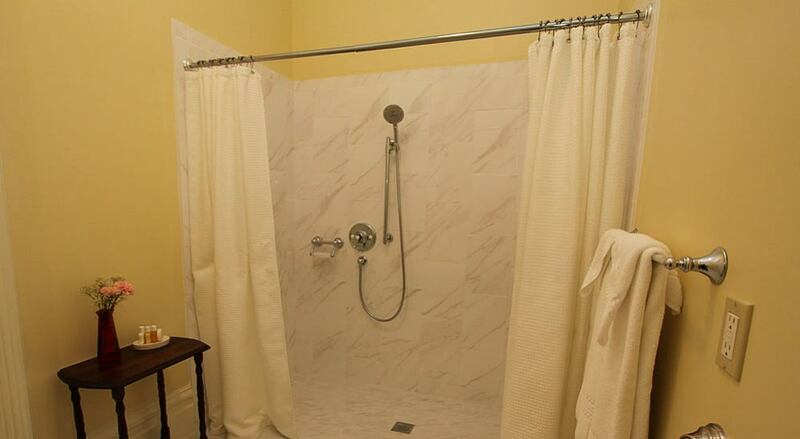 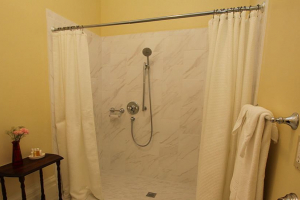 This room has a beautifully updated bathroom with Carrera tile and large walk in shower, and a separate sink / styling alcove with tile countertop and fixtures with a period flair. 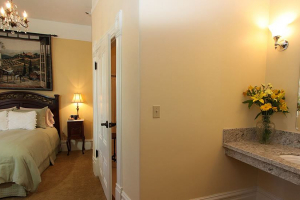 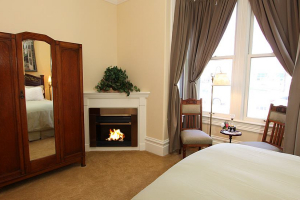 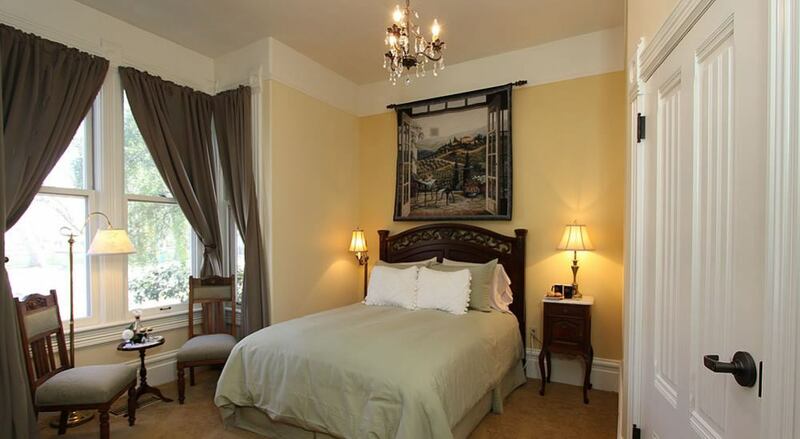 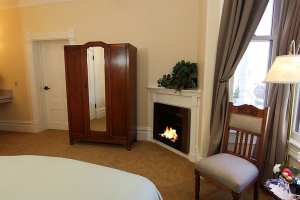 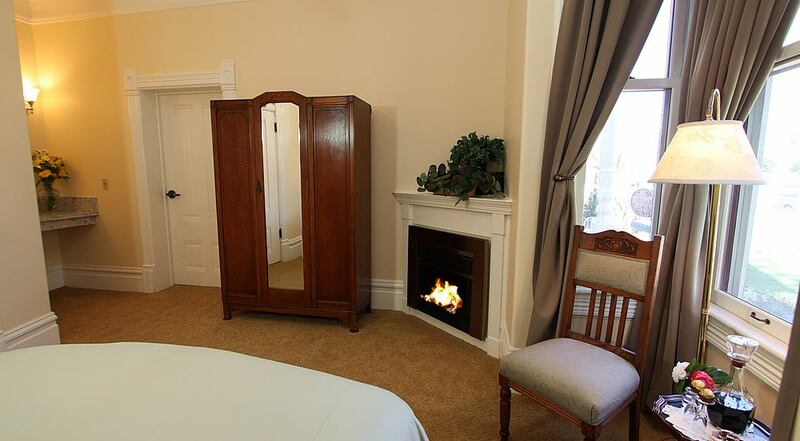 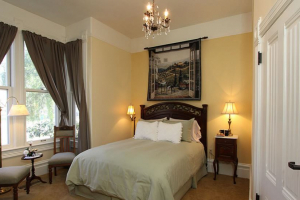 Room amenities include a queen bed, bay window sitting area overlooking the front lawn and grape vines along the wrought iron fence, beautiful hanging tapestry lighted by a graceful crystal chandelier, and elegant electric fireplace. 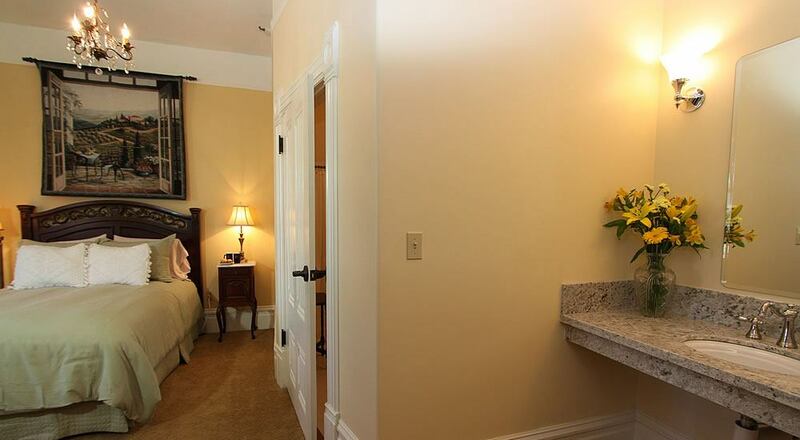 This room is ADA accessible.